You are able to post details of any automotive repair or servicing work you need a mechanic to do for you (“Jobs”), and you authorise the ability to receive quotes from mechanics. You must only request a quote if you have a genuine requirement for the work detailed to be performed. GM act as an advertisement service for local mechanics. We do not accept any responsibility for the quality of work carried out. Any disputes should be directed at your mechanic in question. If you do decide to use the services of a particular mechanic as a result of your use of the GM Service, you agree that Geek Mechanics holds no responsibility for activities of the Mechanic. We simply act as an advertising agent. Although we have asked all users to use the Services responsibly, we cannot guarantee the accuracy, integrity or quality of any information you view or receive via the Services which is provided by third parties. If you use the GM Services, you acknowledge and agree that we do not endorse or recommend any of the mechanics who are listed or who use the Services and we do not check or verify any information which mechanics post on or transmit via the Services. You shall be solely responsible for checking and verifying any information which you access via or receive via the Services before acting on it placing any reliance on it. If you choose to use the services of any mechanic because of information you have received through your use of the Services you do so entirely at your own risk. If you use the Services you also acknowledge and agree that information contained in any Quotes for Jobs you have posted are intended to be indicative only and will not form the basis of a binding contract between you and any mechanic. If you choose to instruct a mechanic to carry out any work for you as a result of your use of the Services we strongly recommend that you conclude your own written agreement with them clearly detailing the work to be done and the price to be paid. We will not be a party to any agreement or contract which you conclude with a mechanic as a result of your use of the Services.  PLEASE NOTE: We (GeekMechanics.co.uk) act only as an advertising agent for mechanics and will not under any circumstances have any responsibility to you or liability to you for the performance or quality of any work which you ask any mechanic to carry out or for any acts or omissions on the part of any mechanic. You acknowledge and agree that we do not check or verify the details of any enquiries which are posted. We have asked all users to use the Services responsibly but cannot guarantee the accuracy, integrity or quality of any Jobs or other Material which is posted by third parties. You agree that you will only use any information concerning any Driver and any Jobs they have quoted, which we provide to you or which you obtain via the GM Service, for the purpose of providing a Quote to that Driver and (if we are selected to undertake the work) for the purposes of undertaking the Work. You agree that you will not use such information for any other purpose without first obtaining the Driver's prior consent. You also agree to keep any such information secure and to comply with all applicable laws concerning privacy and data protection in relation to your use of that information. You shall be solely responsible for checking and verifying the details of any Job which is enquired through this Website before you agree to undertake any work for a Driver and for agreeing with the Driver the terms on which any work will be performed. You agree that you must only use the Services in connection with your own business and must not (without our prior written consent) use the Services for the benefit of any other business providing automotive repair and maintenance services. PLEASE NOTE: As a Mechanic and by using our Services you are agreeing that you shall be solely responsible for and shall indemnify us and hold us harmless from any costs, losses or claims which may result from any information you submit or transmit via our Services or from any work which you agree to perform for any Driver or from your dealings with any Driver or your use of their information. Whilst we endeavour to ensure that the information available on or through our Services is correct, up to date and accurate we do not warrant the accuracy and completeness of such material. In particular (but without limitation), the GM Services permits you to access and receive information supplied by third parties. The third parties submitting this information are responsible for ensuring that material submitted is accurate and complies with relevant laws and codes. We will not be responsible to you for the conduct of any such third party or for any error or inaccuracy in any material they supply. Although we aim to offer you the best service possible, we make no promise that the GM Services will meet your requirements. We cannot guarantee that the Services will be fault or virus free or continuously available. Your access to our Services may occasionally be restricted to allow for repairs, maintenance or the introduction of new facilities or services. We may discontinue our Services, or any part thereof by giving reasonable notice at any time. To the fullest extent permitted by law, we exclude all liability to you for any loss of profit, loss of opportunity, loss of earnings, loss of anticipated earnings or loss of data or for any indirect or consequential losses howsoever arising out of your use of GM Services or any fault or problem relating to our Services or any content received via our Services. Unless otherwise stated, the copyright, database right and other intellectual property rights in the GM Services (including without limitation all content, data, materials and technology used or appearing in the Services or transmitted through it) belongs to us or our licensors. All rights are reserved. By using the GM Service you acknowledge and agree that we collect aggregated and anonymised data concerning usage of the GM Service and the Jobs and Quotes submitted via the GM Services. You agree that all intellectual property rights and other rights in such data shall belong to GeekMechanics.co.uk Limited and we may use this data for any purpose whatsoever. However, this data will not include any information from which particular users of the GM Services (including any Drivers or Mechanic) can be identified.